I’m standing in front of the door of the place I’ve always wanted to be. Less than two inches of wood stands between me and my dream. It took awhile to get here but I finally made it. The journey has been turbulent and full of twists and turns. I’m thinking back on when it all truly started. It’s the summer of 2012 and my family and I are in Laos. I have this strange feeling my dad is conditioning us to the Lao life: Everyday is filled with wonder, every alley a chance for exploration, and every new face an opportunity for casual exchanges to reflect on the wonders of life. The lady’s name is Ms. Bounlanh and she’s the director of the non-profit. She asks me a few questions about myself and I ask her a few questions in return about the bustling activity around me. She tells me a little bit about COPE and their work. 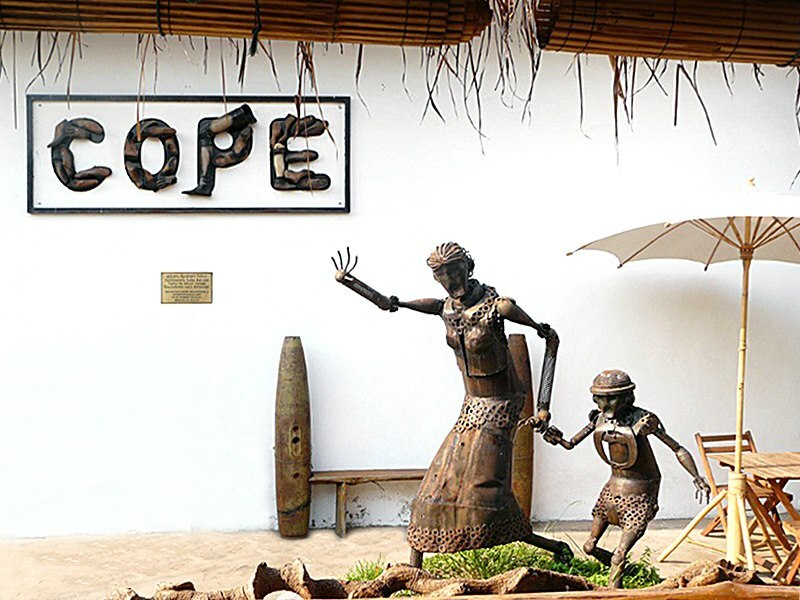 COPE’s mission is to help physically disabled people by giving them access to physical rehabilitation services. They provide prosthetic devices for those in need, free of charge. Their centers are staffed by physical therapists that are able to help patients start on their rehabilitation process. Lastly, their surgeons are trained in surgical procedures to correct physically limiting deformities. I’m as amazed as any 13 year old boy would be. Suddenly, Mrs. Bounlanh excuses herself to see to some tasks, but asks my aunt for a quick word before going. As they are talking about adult stuff, I roam a bit and peer more closely into the rooms. Inside a room, the walls are covered by human colored plastic molds. Legs and arms hang from the walls in an organized manner. A man wearing a surgical mask fiddles with a child-size prosthetic leg, in deep concentration with his work. My aunt’s call snaps me out of my observation and we continue on to another building. We arrive at the next building. At the front stands a metal sculpture depicting a mother and a son fleeing for their lives. The expression captured is haunting. The sculpture is made of dark metal, partially rusted. On the white wall behind the sculpture is the word “COPE” again. Having gotten closer, I realize the word is made up of used prosthetic limbs. We enter the building through the gift shop, which is small but neatly organized. Surprisingly, the building has air conditioning, a luxury I notice lacking in many institutions of Laos. A young man, the tour guide, greets us and chats with my aunt. I take a look around at the gifts, which includes graphic t-shirts with slogans and cartoons all relating to bombs and amputees. Strange, I think to myself. Glossy brick cutouts the size of a standard envelope covers nearly two walls. I ask my aunt about the purpose behind them and she tells me that those are for donors who gave 100 dollars or more. I ask what for. My aunt looks at me and doesn’t say a word. She leads me to a door and allows me to enter first. My life will never be the same. The first thing that hits you is a display of hundreds of small round bombs suspended in midair, imitating free-fall. On adjacent walls are pictures and statistics about bombs dropped on Laos during the Vietnam War. On a cluster bomb canister, in the faded white of the American military stencils, is “UXO”. Though the room is already cool, a chill ran over me at the sight of these three letters. The room is one big open space with different exhibitions laid out in an organized manner. In the middle of the room is a bamboo hut, something you’d find plenty of in pre-Civil War era Laos, though only out in the remote villages now, reminiscent of the bygone days of Laos’s simple past. The display serves to show that the housing at the time of the bombing campaign offers absolutely no protection with their thin walls and wooden building material from the millions of tiny killers falling from the sky. Along the walls are pictures and info graphics relating to the UXO problem in Laos. Moving further into the building, you find all manners of interactive exhibits meant to give you a chance to experience a partial part of the lives of COPE’s patients. There is a bridge for you to try crossing while wearing a prosthetic leg. On one table are tools designed to help people with limited use of their hands and arms. On tiny box TVs, documentaries and short films about the stories of patients and the impact of COPE are played on repeat. What hits me most is learning about the Secret War. 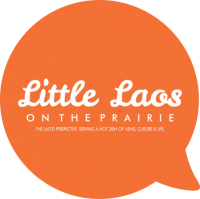 Even at thirteen, I question the humanity of the tragedy that occurred in that dark corner of Laos’s history. I spend the rest of the day absorbing the raw reality of our past. My little heart grows heavy and I leave feeling something I’m unable to describe. After coming back to the United States, the sadness from my newfound knowledge came with me. One night, after a while back in the United States, as I am looking through my stuff trying to find something, I stumble upon a gift from my aunt, a black button from COPE. A wave of fury washes over me, like nothing I ever felt before. That moment from years ago still haunts me…still evokes a determination within me to do something more. My path was made clear. From that day on, every choice I made has lead me to this, to the front door of Legacies of War. I ring the bell to the future. Previous PostCulture vs Converse: Shoo to All Shoes or are your Jimmy Choo’s Exempt?